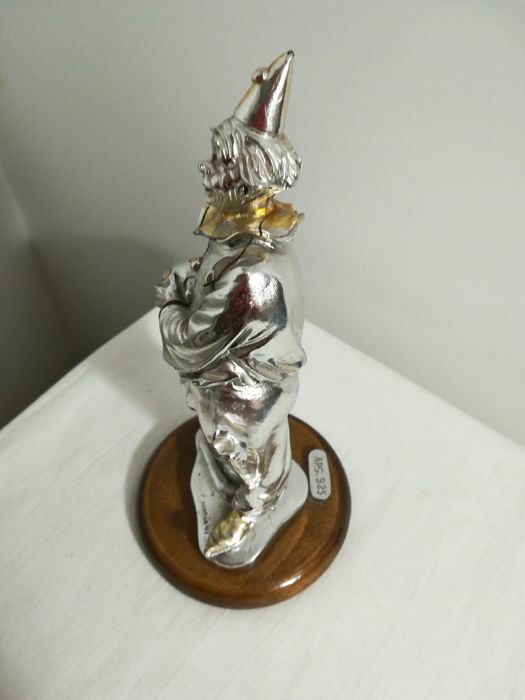 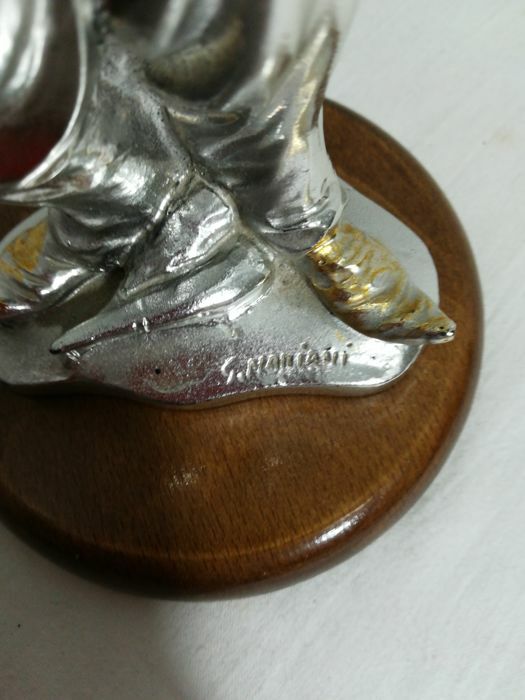 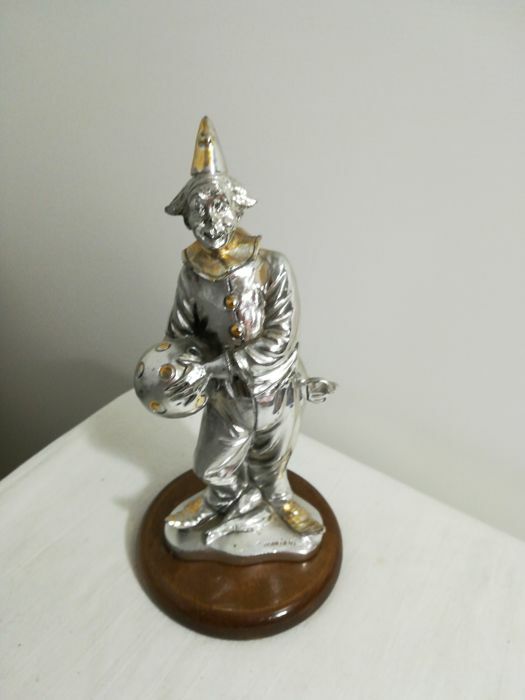 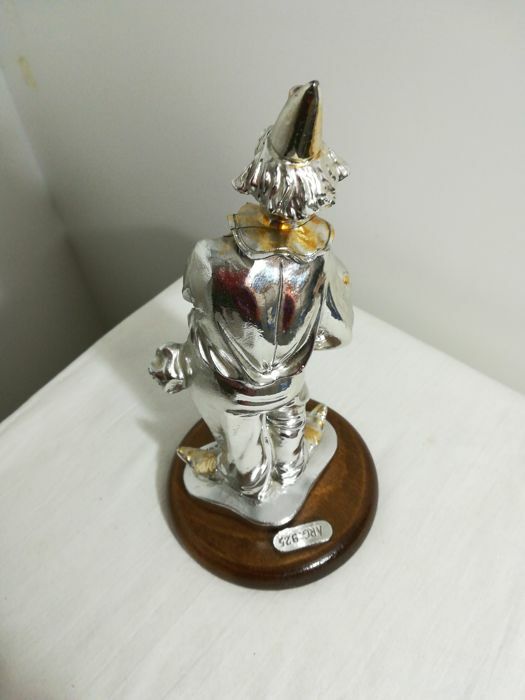 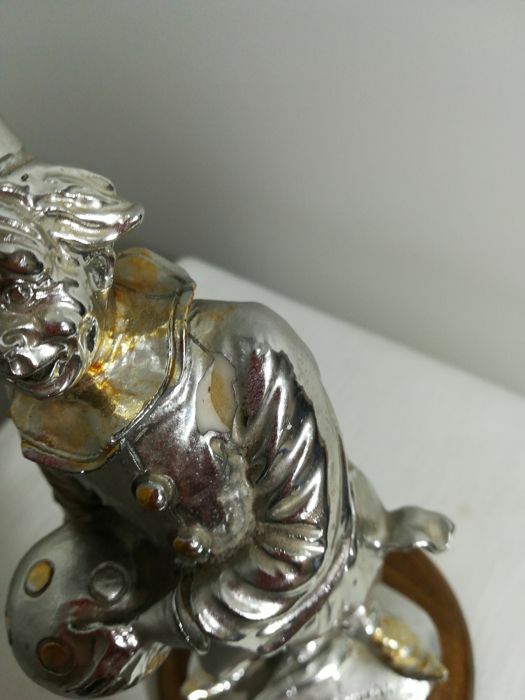 Beautiful silver plated statuette of a clown by Italian artist G. Mariani. 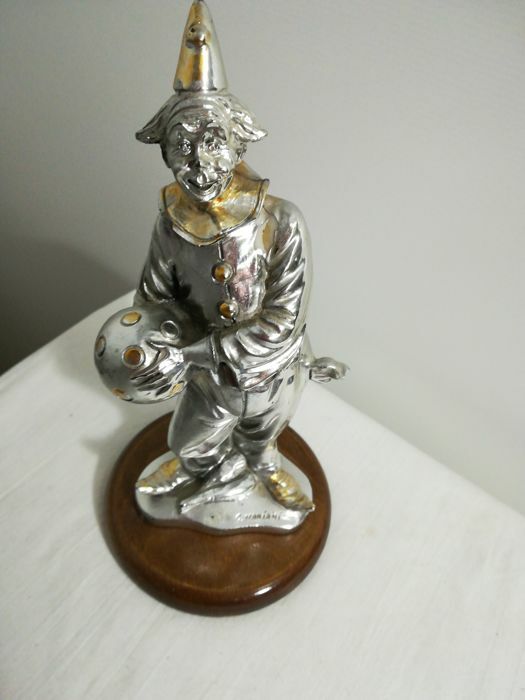 On a wooden base.Dimensions: length 24 cm, width 11. 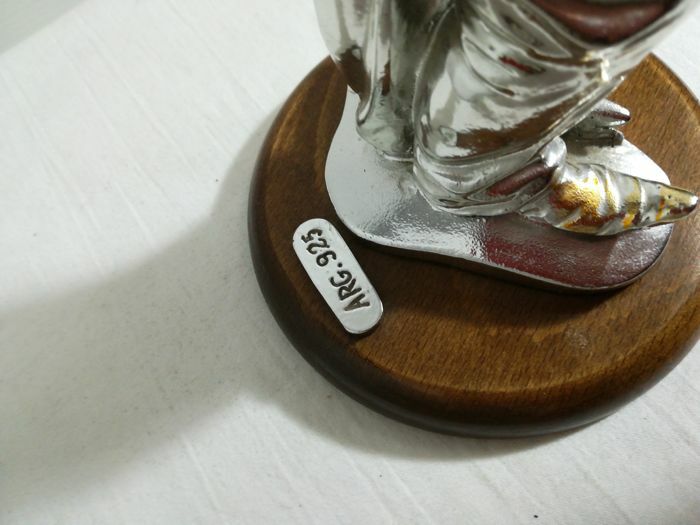 5 cm, height 5 cmIn good condition with slight signs of wear, as shown by pictures. 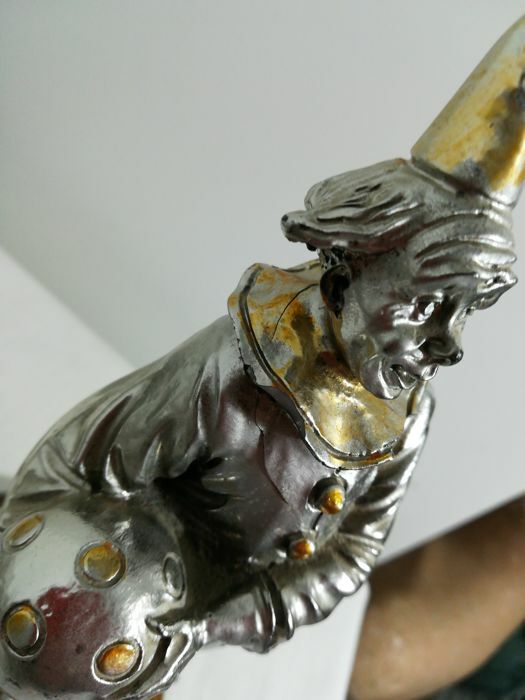 Tiny pieces missing. 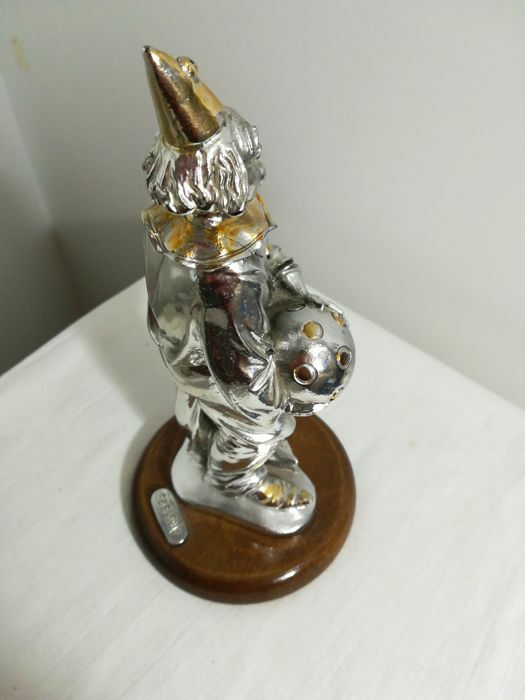 Shipping via courier.